I’m a new mom 2 months postpartum and have experiencing the above symptoms. I reached out to my doctor at 6 weeks postpartum about my intense anxiety and now lack of sleep. I’ve been on Zoloft for 2 weeks now but still have not been able to sleep at night. I’m afraid I’m never going to get over this hump in my life. I just want to feel normal again for my daughter and family. I’m also going to work in 3 weeks and am afraid I wont be able to function. My doctor also prescribed klonopin to sleep at night until Zoloft reached its therapeutic level but i’m afraid of becoming dependent on it and never being able to sleep again. Any advice would be greatly appreciated. Hi, so sorry for the delayed response! Thank you for reaching out. You have what a lot of other moms have experienced, which is a postpartum mood & anxiety disorder (PMAD). Sounds like you have been on an SSRI and benzo, the combo of which helped me in about 4 weeks’ time. I was on Xanax, which is a benzo, for less than 2 weeks at the same time I took Paxil (an SSRI). That was all about 1 month before I was supposed to return to work. Miraculously, my meds kick in in time for me to return to work. If you follow the doctor’s instructions to take the Klonopin, you will not get addicted to it. And SSRIs are not addicting. The bottom line is you need to let the meds kick in. Give the Klonopin enough time to help the Zoloft reach its therapeutic level. Please note that everyone’s situations are different, as are their neurochemical situations. Have you been depressed before? Do you have enough help with the baby? With overnight feeding and help around the house? I thought I would never feel normal again, but I did, and you will too! If you wish to stay in touch via email, I can send you an email (I have your email address). Does your doctor know much about postpartum mood disorders and/or depression? If not, may I suggest some local resources? Whereabouts do you live? Thank you for this informative post, I’ve been struggling to sleep as well, even though I’m exhausted. Baby has been up the past three nights till 3 in the morning, and I can’t sleep no matter what I try. Every little noise keeps me awake, and I worry about her breathing . I am going to try some of these things and see if they help. I’m glad you found my blog and my post. How many weeks postpartum are you? Have you talked to a doctor about your insomnia? I thought I was out of the woods when I could fall asleep and stay asleep for the past 2 weeks without medication but since 3 nights ago, all the symptoms came back! And me being stubborn thought I can get through it without medication because I was still expressing breastmilk for my son. Now I’m back googling at how I can get my sleep back and I can feel the anxiety creeping in again. Just want to find out if you and any other mothers out there nursed/gave breastmilk while on medication and if you see any adverse effect on your child. My son is now 9 weeks old and seems colicky as well, would cry inconsolably for hours. I’ve started him on formula and he’s now on mixed feeds but I still dump my first pump after I have my medication at night because I cannot get over the fact that there might be traces of medication in the milk I give to him. I checked out your blog post, and I see it’s filled with lots of learned lessons you want to share with other moms, just like how I’ve been doing with my blog for the past 8 years. 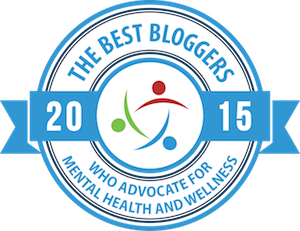 Kudos for sharing your experience with others by blogging about it! What you have–postpartum anxiety with insomnia–is very common. I’ve had many moms over the years come to me, sharing their experiences which sound very similar to your experience…and mine! Different treatments work for different moms (meds only, therapy only, or combo of both), but I’d like to encourage you to stay on the medication prescribed by your doctor and not go cold turkey again until the doctor tells you that you can. Within 4 weeks of my Paxil and Xanax combo, I was able to stop taking Ambien (which I thought I was going to have to rely on for the rest of my life, since I didn’t know that my illness was common and had a name, so I was scared to death of what was happening to me). At that point, the Paxil had reached its therapeutic level with me. A couple of months later, I told my doctor that I felt fine enough to go off the Paxil. But he had me stay on the Paxil, continuously decreasing the dosage and frequency until I weaned completely off months later. The end result was I was free of my PPD with no relapses whatsoever! I’m so happy to find this blog and for someone to have written down exactly what I have been going through. I’m calling the doctors first thing as I feel I have pretty much tried all of your suggestions and I’m on the verge of tipping and I want to pull myself back. I have never been a great sleeper but everything came to a head when my daughter was born and I did not sleep a wink for 5 days. My body was collapsing but my mind was wired. Eventually after listening to hypnotherapy tapes I managed to claw back sleep an hour at a time until I was sleeping on average 5 hours a night. However my daughter is now 8 months old and it has all started up again. She develops very fast… Crawling at 6 months etc so she is very restless and wakes all the time, then it was teething, then it was going on holiday and breaking the routine and now she has a cold and is up screaming every hour. Unlike my husband that can collapse back into bed and sleep after getting up to tend to her… I just can not!! I have now been awake since 1.30 when she last woke and it is 5.30. I feel like I’m losing my mind and a human can’t survive properly without proper sleep. All I can say is I’m relieved to finally read something that I can 100% relate to. What really scares me is that I don’t even seem to feel tired anymore. Just numb. I hope the doctors can help me. Hi Lucy, I’m so glad you’ve found my blog too and that it helps you feel less alone and realize you need to see a professional to recover from this insomnia you are experiencing and so many other new moms experience. If you would like me to help you find local help, please let me know what major city you live close to. I can also correspond via email with you. Let me know…and hang in there! You will get better with the right help! Hmmmm, fascinating! I have to do sone more reading on hypnotherapy and treating postpartum mood disorders. Without knowing more, it seems like the sessions help temporarily but don’t treat the underlying issue (chemical imbalance). Or maybe it does. Which is why I have to read up on this. Please keep me posted on your progress! Returning to work has given me insomnia for the past week…have you seen this before? How long can this go on before I see a dr? It feels like separation anxiety. How long ago did you have your baby? If insomnia is the only/first issue you’ve had since you had your baby, this might be the first sign of a postpartum mood disorder rearing its head. I think you should see a doctor right away before it has a chance to spiral into something much worse. It only took a week or 2 after my insomnia started before my panic attacks suddenly started. You should try to see someone who has experience treating PPD and/or depression. Let me know if I can be of any help in finding you someone local to see you. I have the exact same symptoms as you described. Please email me on what helped you with the insomnia. It’s terrible. My baby is almost a month old and it started as soon as we got home from the hospital. I am running around today and cannot get onto emails but you can go to my post here (https://ivysppdblog.wordpress.com/2009/03/07/next-came-the-panic-attacks/) and I provide details about the meds and timeline under My Experience. Please take a look and I’ll be in touch asap. Are you seeing a doctor and/or therapist about your insomnia? If not, please seek medical help (psychiatrists are MDs too and can prescribe meds that can help)…don’t wait. Hang in there! You WILL get better with the right treatment! I’m reading your post and comments, and I’m feeling the exact same way. I have a newborn and a toddler. Although I have all the support from family, I can’t seem to get past this. It started when I was 8 months pregnant. Please, any private advice would be helpful. I will send you an email as soon as possible today. Thank you so much for this post, this describes exactly what I’m going through! My daughter is now 3 months old and the insomnia is getting worse. Is it possible to get in touch with you for some more advice? Sure, I will get in touch with you a bit later today. Hang in there! I am so glad I found your post. I am going insane here, I am a new mother (baby is 8 weeks old) and my symptoms are very similar to yours, I can’t sleep and can’t nap during the day either. After a traumatic birth and 1 week stay in hospital, I didnt sleep for that whole week not wink and after I came home, I still didn’t sleep, it was like my brain couldn’t wind down and feel a constant adrenaline rush. I just need to know there’s light at the tunnel because I feel like I am going crazy and my body is breaking down due to the sleep deprivation. Is there any way I can contact you personally? I can send you an email, but to prep for helping you, can you please tell me what part of the country (or world) you live? I live in the UK. Thank you so much. Came across your blog and would really love to get in touch with you. I’m a new mother to a 6 week old baby and I have very similar symptoms to what you have. Do you have any means for me to contact you? I found your post very helpful to read. My story shares some similarities. About 3 years ago when my son was 6 months old I started having difficulty falling back to sleep after nursing. This trend continued until I was only sleeping 4 hours every other night (I felt like I was going nuts) & I had seen my Doctor repeatedly but none of the treatment was helping. I spent thousands of dollars seeking alternative treatments , which are wonderful but didnt come close to helping me. After a year of this crazy cycle a Doctor prescribed Xanax for me 1 mg. While it helped with sleep I felt strange/jittery/anxious the next day. For an entire year I continued taking this just to be able to get some sleep & care for my kids. This was an awful time. I lost 25 pounds & was a shell of myself, just barely taking care of my children. Finally, by the grace of God, I found a psychiatrist who specialized in sleep disorders. He told me xanax was not a good sleep medication. He put me on Lexapro 10 mg & .5 of Ambien as needed. I also did CBT – sleep restriction, which actually helped a lot but took some time. Today, 2 1/2 years later I still deal with insomnia but I can see the light at the end of the tunnel. Personally, I believe I suffered from undiagnosed post-partum anxiety/depression that triggered severe & chronic insomnia. If this had been addressed early on I don’t think the insomnia would have been so bad. Slowly I am healing, still tired frequently (sleeping 6-6.5 hrs) but am hopeful again & keep a watchful eye out for others who may be headed down this treacherous road. Thank you for sharing your experience. I am glad you found my blog and you found it helpful to see our similar experiences. I just wish you had found it earlier. Xanax worked for me but not for you, but I have a feeling that it worked for me because I was on Paxil simultaneously. Then again, everyone’s circumstances and body chemistry and reactions to meds are different. Xanax is in and of itself not intended to act as a sleep med. Are you still doing CBT? I never heard of CBT-sleep restriction before. What exactly is that? Yes, the earlier the diagnosis and treatment, the better off you’d be in general. Sleeping 6-6.5 years is pretty good! I am glad you are on the road to recovery, and pray for healing from your insomnia and continued strength. Please keep me posted, if you can! Hugs! Very good advice. There are some medications 4 insomnia like promethazine which can be useful. Best not to wait, see a doctor urgently, post natal illnesses are common and sleep depravation is a major cause. I find religion, praying, in general helps a lot. I listen to the Quran, being muslim and this is very calming 4 me. I am having a high risk pregnancy as I am off all medication. I had a severe previous post natal illness. Thank you for stopping by my blog, reading my post and leaving a comment about your own situation. I hope the rest of your pregnancy will go okay. Please feel free to reach out again whenever you need to. Do you have enough local support lined up for your pregnancy and postpartum? Well I am better not much much better but I will take what I can get. I have now been on the Lexapro for 3 1/2 weeks now ( I think) and I take either .25 or .5 Klonopin for anxiety in the afternoon and I am on 150mg Seroquel at night to sleep. I have been able to doze off on the couch for a bit in the evening which is what I used to do so I am happy about that (although it is b/c I am taking the Klonopin) When I take the Seroquel I am able to fall asleep and now most of the time I am able to go back to sleep where I wasn’t able to do that before. I am still waking up about 3-4 times/night but as I said most of the time being able to go back to sleep. It is far from perfect or where I want to be but I know I have to be patient, it just seems to be taking a long time. My husband stays downstairs with the baby at night to let me get the best sleep I can without hearing the baby or waking to the monitor. Also the baby only is waking one time a night now anyway. We were thinking about trying it again where we actually sleep in the same bed like normal couples and still let him get up for that middle of the night feeding and see how it effects me. I am still scared that I will have to be on meds for sleep permanently or that this won’t get better but I try to stay positive. I just really think I should be doing better than I am right now I don’t know? The psychologist and psychiatrist that I am now seeing I like and they both said I don’t have PPD but PPA and the insomnia. Well, overall I am better and I am able to see that a little bit now. I will say 4/7 days are almost normal feeling for me. I will keep you posted if you have any comments I’d like to hear them. Thank you for being part of my support system I look forward to hearing from you. So glad to hear you are slowly, but surely, getting better! It does usually take a few weeks for the medication to kick in. For me, it took exactly four weeks. But remember that everyone is different, all meds are different, and different meds work differently for different people. It’s so great that your husband is helping so much, even sleeping in a different room. You will not be on the meds for sleep permanently. It’s important for you to stay positive! The recovery process is a gradual one when it comes to postpartum mood disorders. I probably had PPA as well since my symptoms were very similar to yours. But I couldn’t even get my GP to even say once that I had a postpartum mood disorder. SO GLAD you are able to see that you are indeed getting better. You will find in the coming week or two that the better days will be outnumbering the bad. Glad to be part of your support system! Haven’t heard from you in about a month now. Hopefully, no more insomnia and all is well with your baby, motherhood, etc.! I am so sorry I haven’t written in a while. Life is still crazy but hey what does a new mom expect! I am loving motherhood, my little guy isn’t so little anymore, he is growing way too fast for me. I simply cannot believe he is 4 months old now. (I have to add that he grows cuter by the day!) As for me yes I am much better, I am actually weaning off of the Klonopin and am almost off of it completely, as for the Seroquel I am still taking that at night for sleep but in a week or so I will try weaning off of that too and then I will stay on the Lexapro for a while. My sleep is better most of the time. Not perfect but I will tazke anything I can get. I am able to nap on the couch in the evenings although during the day I still can’t do this and don’t know why? maybe I will never be able to who knows, maybe I am just wired to be awake when I am home alone with the baby? But then again maybe it will just take time still for me to be able to accomplish this. I usually get about 6-7 hours of sleep at night as Tyler sleeps through the night most of the time. I can even wake up and go back to sleep most of the time too. I am pleased with all of the progress and hope it continues to get better. I can’t wait to be off of all the meds I pray every day that this will happen. So overall mostly good days vs. bad. I am so thankful. I appreciate your support. I didn’t forget about you (and I never will) as you played a part in me getting to where I am today and I want to thank you. Talk to you soon. Soooo glad to hear you are doing so much better! I’m not a doctor or anything, but seems weird you have to “wean” from Klonopin (an antianxiety med). Didn’t even know you were taking Seroquel (an antipsychotic that can be used for insomnia). You are already finding that your good days are outnumbering the bad, and you are able to sleep at night and nap during the day. You will be weaned off the Lexapro–not to mention sleeping on your own– before you know it. I will reach out every now and then to see how you are doing. In the meantime, continue enjoying motherhood! Just wanted to see how you are doing. Hope you are doing MUCH, MUCH, BETTER now…. Is there any way for me to email or hear the rest of Kate’s story? She sound exactly like me, taking seroquel and at one point i see she was afraid she wouldn’t be able to sleep with her husband like normal couples. That’s where I’m at right now! And I see her anxiety reached such a high level like mine did. I am doing somewhat better, I was able to see a psychiatrist (actually 2) to decide which one I like better and I saw the psychologist. I am undecided yet as to who I think I will pick as they were both very good. Sleep has been better as has my anxiety for the most part. I won’t say sleep is perfect as I cannot expect that it will be. At least now there is someone who is going to manage the meds and the 2 psychiatrists were on the same page as my PCP so everyone seems to be in agreeance on that. I feel like we are actually getting somewhere now although I still have in the back of my mind that these things won’t work and I have “that dreadful disease” We are working on getting that out of my head though. Every night I get sleep is a positive for me. So I am thankful. I would love it to be sleep without medication but for now I have to accept that is what my body needs and that is what it will get. I appreciate your support and helpful words. I will keep you posted. So glad to hear you are doing better! This will all be behind you soon! It’s been a couple of weeks since we last correspondended. I hope you are feeling much, much better and sleeping now? If you are able to come up with a name somewhere within a 30 mile radius that would be great. I have searched and can come up with nothing, not even a real support group or mommys group. I have my appointment with my PCP tomorrow so if you are able to come up with the name of someone that would be great. Thank you for your help. I have asked the lady from PSI and she had no one on her list. She also gave me a support group but it was in another state. I live in Wynantskill NY. I appreciate your help. Thank you. Hope you’re doing much better? The person best-equipped with mental health practitioners in your area is the PSI coordinator for your area (whom you’ve spoken to already). I didn’t want to misguide you in any way, as in your situation, every day counts and you need help immediately. For your situation (which sounds very serious) if it doesn’t get any better you need to get someone to take full-time care of your baby until you are better and let the meds you’ve been prescribed have a chance to work before bouncing to a different one. There could be serious ramifications if you change/mix meds suddenly. Well the psychiatrist appointment was a joke, it was some 90 year old man who had very broken english and I couldn’t even understand him. We didn’t even really talk he asked what meds I was on and just gave me new perscriptions for more of the same. I was very upset as I just needed some reassurance and I didn’t get that. So I see my PCP tomorrow and we will go back to the drawing board in search of another person to talk to. I was very upset after todays appointment but what can you do except keep trying. I have a lot of confidence in my PCP so I know he will make me feel better tomorrow. Thank you for thinking about me and I will update you after tomorrows visit. Talk to you soon. Seriously, do you want me to try to find you a psychiatrist experienced with caring for PPD patients? I am so scared that this won’t go away. I guess I just don’t understand having PPD when I don’t feel depressed. I know I am anxious, very, and there is a fine line between the two. It all started with the insomnia and just spiraled out of control from there. I guess I am just having a hard day today as I didn’t get too much sleep last PM. I know even with the meds every night is not going to be great so I should be thankful for what sleep I did get. I just had a lot more stress going on yesterday and I am sure that is why I didn’t sleep as well. Tonight is another night. I am still just having underlying thoughts of me having that terrible disease although the PPD/PPA is making much more sense to me compared to that now. I am taking 100 mg seroquel at night to sleep and can go up tp 150 per my doctor. I have been doing okay with the 100 though and so I really don’t want to push it up unless I have to. It is an antipsychotic med used also for insomnia. In my mind I am afraid my brain is recognizing the drug and becoming less effective meaning the “sleeping pill” isn’t working and it all goes back to having that horrible rare disease where sleep meds don’t work and everything progresses. I need to get that thought out of my head. I have to just keep telling myself that insomnia is common for PPD/PPA. I try to drill that into my head but some days are harder than others. Especially when you don’t have the greatest night sleep. Well I guess today isn’t the day to cut my anxiety medication in half. I am taking Klonopin one time per day in the afternoon as this is when I seem to have the hardest time. Please tell me this is all temporary and will go away. I just want to be able to wake up in the middle of the night and feed the baby and be able to go back to sleep. Not having to take meds and have people here to help take care of m baby through the night. Thanks for listening. I know it’s hard to understand why you’d be categorized as depressed when you don’t feel depressed. Believe me, I couldn’t understand either, until after I was well on my road to recovery. 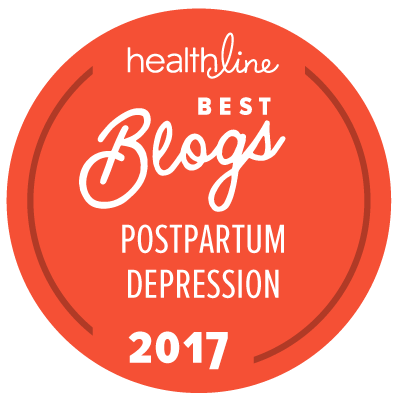 You don’t have to feel blue/tearful to have PPD. What you’re going through is biological. Your serotonin levels are probably all out-of-whack. Serotonin is a neurotransmitter that is involved in the regulation of sleep and emotion. You will overcome this, but it will take a couple weeks before the antidepressant kicks in. You will see your psychiatrist in 3 days, so be sure to bring up all your concerns w/him or her then! Try REAL hard not to think too much! Again, easier said than done, as I’ve been exactly where you are now. The one thing you should be telling yourself is that THIS IS TEMPORARY! I didn’t think I’d ever return to my old self again, but I did! Was thinking of you and wanted to see how your trip to the psychiatrist went? Are you feeling a bit better, hopefully, since the last time we corresponded? thank you for such a quick reply, yes I am seeing a psychiatrist Thursday. I hope it will help. I know your page and some other peoples comments are certainly helping me through this. Thank God I can read about someone elses story who’s is like mine it validates it in my mind that this is all I have is PPD. Just so strange because I don’t really feel depressed, I know I am anxious and have been starting initially with the insomnia and it has cycled out of control. Today is actually a good day for me although I don’t know how much sleep I really got and that kind of bugs me. I guess it doesn’t really matter. I have taken the clock out of the room. I don’t know if it is helping or hindering my anxiety. And yes the computer has been off limits for me except a few blogs and to check my e-mail. It is a little too late though in finding out about that horrible disease. I just have to keep telling myself that these truely are symptoms of PPD and I too will get through this. Why even when I feel calm and relaxed I can’t sleep? Why do I have to keep increasing the sleeping meds in order for them to work? This is what scares me. It is a sedative and half of the dose I take should knock someone out, and only gives me a few hours sleep anywhere from 4-7. I am scared but I am trying to be strong today. Thank you for your support. I’m so glad to hear you have an appt w/a psychiatrist on Thur! I’m also glad that my blog is helping you in validing that you are NOT alone. I felt the same way as you…not understanding how I could be depressed (because I’ve never been depressed before). Some women with PPD have a particularly high level of anxiety (like you, me). Tearfulness and feeling blue are not necessarily symptoms everyone experiences. Insomnia, though is like I’ve said before, a classic PPD symptom. SSRIs (like Paxil, Zoloft) are usually prescribed to PPD patients to increase serotonin levels, the depletion of which is tied to insomnia and anxiety. It’s not a mind-over-matter thing. This is a biological thing you are experiencing. Again, don’t increase sleeping meds without talking to your doctor. You need to get to the root of the problem, which is your serotonin levels. Talk to the psychiatrist about all this. Stay STRONG! I have been in contact with a lady from PSI via phone/e-mails. We have tried out the uninterupted sleep thing on the weekends but it just doesn’t work. I will still end up waking up. Like last night, I took my medicine and was asleep from 9-10:30 woke briefly back to sleep until 12:30 woke again back to sleep until 2:30. This was all uninterrupted as my husband takes the baby until around midnight and it was the first time the baby slept 3.5 hours straight. So once I was up at around 2:30 that was it. I fed the baby again at 3:00 went back to lay down at about 3:15 (I don’t tnik I fell asleep) was back in the babys room at 4:00 he needed to be changed, fed him again at 5:00 and I just layed on the flloor in the nursery and dozed for maybe 15 minutes as I remember a brief dream. Now I am all upset about being tired and not being myself and able to just sleep when I am tired. So frustrating. Oh, good…glad you’ve tried to contact PSI. Sorry, the uninterrupted sleep strategy could’ve helped lower the chances of developing PPD, had you done that from the time you had your baby through the 4th-6th week postpartum. With insomnia, the harder you try, the more frustrated you get. It drives your anxiety levels to a point that you could, like me, start to experience panic attacks. So please keep up what you’re doing, with the help of the meds you’ve been given (you should discuss the Lexapro with your doctor and maybe get a 2nd opinion), as well as getting support (emotional/practical). SSRIs are effective in increasing your seratonin levels, which in insomnia are low. no, no one screened for ppd. I don’t believe the MDs would even know how! Can you be depressed and not know it? I know it sounds like a stupid question. They keep saying it is more anxiety but if you had insomnia for 2 days straight of course you’ll be anxious about sleep and when it hasn’t been too much better (although I will take 2-3 hours over nothing) it is just a big cycle. I think I could be getting depressed over all of this but I don’t know I am more scared than anything and that is why I cry when I do b/c I am petrified of not sleeping on my own again or something happening to me over not getting enough sleep and being on a benzo! Absolutely, so many women get PPD and don’t even realize it until they get help (or in way too many cases, way after the fact, unfortunately). Again, insomnia is a classic symptom of PPD if it occurs after 3-4 weeks postpartum. You will be well again (with the right treatment)! Call PSI…they’ll be able to provide you better and more qualified support! What state do you live in? I live in New York. Well again thank you for listening to me and we will chat soon, I will keep you updated. I pray for another decent nights sleep tonight with the Klonopin and hopefully the baby won’t be too fussy and will sleep for 3 hours at a time and go right back down and mommy too. My little cutie patootie! There are a bunch of support groups in NY: http://postpartum.net/local-support/?state=newyork – are any of them near you? If you can get someone to help watch the baby so you can get 5 hrs of sleep uninterrupted for the next couple of weeks, that will help. Hope you get a good night’s sleep tonight! I ended up going back to my pcp who diagnosed me with having severe ppd/anxiety. I have been on lexapro 10mg now for a week and am taking an antipsychotic med to sleep at night. I am also taking klonopin during the day when my anxiety gets really bad. The problem is two things one I ended up finding information on the computer by accident about something called fatal insomnia. Now I am petrified that this is what I have as my symptoms “progressive insomnia” and “sleeping pills don’t work if this is what you have” and I have tried a few and then they stop working and now even with this med I have had to increase it about every 4 days. I can’t get this disease thought out of my head. “I have lost my ability to sleep on my own” No naps can’t sleep. I am terrified which doesn’t help the anxiety. I know it is a rare disease many people haven’t even heard of it and unfortunately I stumbled upon it. It also scares me b/c they say it usually happens to people in their 40-50s but can happen as early as 30. I am 31. One report also said it primarily happens after childbirth. I wish I had never seen this. It is just hard when you are searching for answers and you find something that explains your symptoms to a T. I have lost my ability to sleep and nap as hard as I try and as relaxed as I am and it scares me and is frustrating. Now I have this other stuff in the back of my mind. I pray that it is just a symptom of PPD. I know it is more likely that but not any less scary to think about. Any words of encouragement would be great. Thank you for listening. It’s unfortunate you stumbled across this “extra bit of info” that is only driving your anxiety levels even higher. Don’t stray from what the doctor has prescribed. Consult with him/her before you do anything re: your meds. Can you make an appointment with a therapist about this? You may not want to because you may have never had to, but it can make a tremendous difference having someone to talk to about your fears. I can help you locate one if you’d like. If you’d like that, just tell me the general area you live in. I don’t think you necessarily have what you fear is this rare disorder. You shouldn’t necessarily trust some of the info on the Internet, esp. because it’s easy to misinterpret and assume it’s something you have. This is what they call playing Internet doctor. Sometimes you cannot even rely on the validity of the info that’s posted. You sound like you’re going through exactly what I went through. So, to help you through the next weeks until your antidepressant kicks in, stop looking at the Internet, and go see a therapist face to face. Many, many moms get through their PPD with a combo of therapy and meds. What you’re going through many many other moms have also experienced, they have survived, I survived, and YOU WILL TOO! YOU WILL GET THROUGH THIS! Need your expert advice. I had PPD and horrible insomnia with my first child 2-1/2 years ago. I was crying a lot most of the time, had anxiety attacks followed by one night of complete lack of sleep I thought I was losing my mind and got diagnosed with PPD 2 months after I had by baby. Adter 1 year of taking Zoloft I was 100% improved and completely weaned off . Last night, my little one was sleeping at 9pm and I was still wide awake and couldn’t sleep until 1130pm and was woken up again @ 1am to breast feed ,I fell back asleep and woke up again at 3am to feed. Is this PPD or sporadic insomnia? I really wan to continue breastfeeding as much as possible and don’t want to take meds . I have a really good sleep routine: warm bath, lavender oil, reading and sound machine at night. My husband can’t help me at night bc he works early and our 2-1/2 yr old has been sleep regressing and up 1x at night which he takes care of since we have a new baby. I’m really far from an expert enough to give any medical advice. I think you should give it another couple of days to see if the difficulty sleeping persists. Do you have family nearby that might be able to help for a few nights this week? I have not began the Lexapro yet as we are waiting a week, so next week if there is no improvement then we will begin. They have not indicated PPD but more anxiety but I must be somewhat depressed as I haven’t slept right in God knows how long and it is effecting everything. I know Lexapro is an anti anxiety and antidepressant. I just get so anxious about my sleep debt that keeps adding and adding and I keep thinking my brain will just shut down and I will die or become psychotic! Really. I don’t know, I don’t think that can really happen but then again I nor no one else can seem to tell me that answer either. So yeah I have been talking with a support group person via phone email as in Albany NY I haven’t been able to find any kind of support groups for PPD or mother groups,very sad and if/when I get past this I will be sarting some! I think it is ridiculous we have nothing here and I know I am not alone in this so a group would be nice. Well I know I got at least 4-5 hours of sleep last night so I am thankful and will try to just keep looking forward. Thank you for your reply, it is nice to talk to someone who has been there. Let’s chat again soon Ivy. Thank you so much. Did your doctors try to screen you for PPD by asking certain questions (see last part of post https://ivysppdblog.wordpress.com/2009/06/14/recent-news-on-screening-expectant-and-postpartum-moms/). Insomnia past 3-4 weeks postpartum is what they refer to as a “classic symptom of PPD.” Doctors need to get up-to-speed on properly detecting/diagnosing/treating PPD, which is one of the reasons why the Mother’s Act is so critical. I can understand your concern, because I’ve been where you are now. 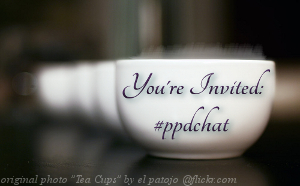 You are certainly not alone with your experience….believe it or not the rate of PPD is 1 out of 8 new moms! Yes, it is very sad we don’t have more resources–not to mention education–about PPD….yet another reason why the Mother’s Act is so critical! And my reason for blogging (and writing my book)! I have had severe insomnia/anxiety since 2 weks after the birth of my son 6/17/09. I have been back and forth to the doctor,psychologist and accupuncturist. My doctor put me on Klonopin .5 mg one time a day tried it for 2 weeks only allowed me at best 2 hours sleep to start with if I was lucky I would be able to go back to sleep after I fed the baby during the night. He just added another dose of .5mg Klonopin during the day and I have only been taking half as I am home alone with the baby and don’t feel comfortable taking it. Mt PCP suggested Lexapro and I told my OB this he said we will try the Klonopin 2X/day then if that doesn’t work then we will try adding in the Lexapro and weaning off the Klonopin. I am terrified about the little sleep I am getting and if I will just collapse and die from it. No one can seem to answer this question as to what happens. How long can someone go on like this with little sleep? I am so scared and I know that it is a viscious cycle of anxiety over not sleeping/insomnia/thoughts of will I ever be able to sleep on my own again. What dod you end up doing?taking? Please share so I can stop feeling like I am going crazy! I came across this blog and hoping for some support. Im 6 weeks pp. And have been suffering from PPA. I have been seeing a therapist weekly. I tried zoloft for 2 days and it didnt agree with me. I tried laxapro for 4 days and seemed ok but had a massive headache amd stopped. I statt viibryn today. I hadnt been having much troubke sleeping,,or going back to sleep after feedings, but if it happens one night that i cant sleep i freak out and set my self up for further issues about going to aleep. I didnt sleep at all last night even with 1mg klonopin. I was able to sleep the other nigjt 9 hours w 1mg xanax. I dont want to rely on benzos. Im scared of this getting worse. Will the meds help ease the anxiety which is making me nervous to sleep? I cant ever nap during the day.. i dont understand i used to be such an amazing sleeper! I hope i can get it under control. Before I had my baby, I was an amazing sleeper too. I am an amazing sleeper now, and have been again since after my recovery (thankfully!). I am glad you found my blog, and I’m really glad you’ve been seeing a therapist weekly. What sort of reaction did you have with zoloft, just curious? Part of the problem is that you’ve been switching meds rapidly, not letting any of them really become effective. I’m hoping your therapist has taken the time to explain to you that SSRI’s could take 4-6 weeks before the medication kicks in (depending on the person and/or the severity of the PPD and/or type of antidepressant), after initially being started on a low dose and slowly increased over the course of several weeks until you reach a therapeutic dosage. Your therapist will want to see you every week in the beginning of your treatment to once every month later on in your treatment to monitor your progress and doses. It’s not like taking an Advil and having your headache or cramps go away in thirty minutes. Here we are talking about medications that work on your neurochemistry. I’ve corresponded with a number of women who were so desperate for their medication to work that they asked their doctors to prescribe a different medication (and then a different one when that one didn’t kick in within two to three weeks). The Paxil didn’t kick in until the fourth week (and thankfully in the meantime, the Xanax I was on gradually alleviated the panic attacks that were scaring me like you wouldn’t believe), and yes, I was desperate to feel improvement and I absolutely had my doubts about the medication and whether my doctor had prescribed the right one for me. His lousy bedside manner and the fact that nothing seemed to be happening as each day and week went by with no improvements only contributed to the doubts in my mind. I know it will feel unbearable to go on like this for another day, let alone several more weeks, but please hang in there! Also, please note that, unlike pain killers and cold medication, you shouldn’t just stop taking an antidepressant as soon as you feel better. And please don’t change your medication dosage or stop taking your medication abruptly simply because you don’t seem to feel any improvement in the first couple of weeks, you feel the side effects are making you feel worse than before you started to take it, you think you feel like your old self again, you don’t feel like taking it anymore, or you want to see how you would do without it. Not following the prescribed protocol can risk delaying your recovery. Antidepressant dosages should always be gradually tapered down in consultation with your therapist. I started the weaning process about six months into my treatment, but it took another seven months before I could safely stop altogether. Please let me know if you have any questions, and do keep me posted! Sending encouraging vibes your way. You WILL get better! The zoloft gave me racing heart,constant yawning, tingling in my arms.. it was scary to me! So we tried lexapro, but after the massive headache i had my dr suggested i stop. Being it was ony in my system 4 days we did not have to taper. The viibryn has been reacting well to me..so i am hopeful and will have patience. But i couldnt sleep again at all last night. I tried 6mg melatonin per my dr. I started to drift and then heard my husband come in the room and up i was the rest of the night. i tried not to take too much of the xanax so i could tend to the baby. I thougt my husband was working today ans hes off. So that could of helped. Glad to hear the viibryn has had no neg side effects (knock wood)! Re: the switching from one med to another and not tapering…that’s ok cuz like you said, you haven’t been on them long enuf for you to need to taper. I’m referring to after you’ve been on viibryn (which I hope will be it) and you’re well on your course to recovery, even if you feel like you are well enough to stop taking it, you should taper in consultation with the doc. I was on Ambien (along with the Paxil and Xanax) until my panic attacks stopped (somewhere between the 2nd-3rd week) and I got brave enough to try stopping it (by the end of the 4th week). So, by the 4th week, I was only on the Paxil. I don’t remember much of the details during that month because of the condition I was in (it was pretty bad) and because this was over 8 yrs ago).